Replaced the Ford factory fill with ATE high temp. I was amazed how much air was in the system from the factory. Both front caliper had tons of air. 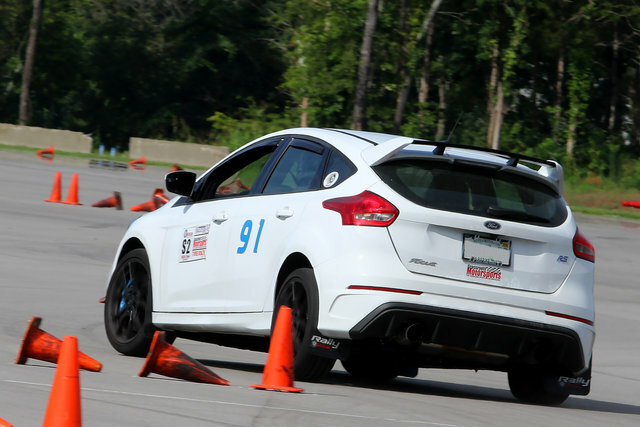 DocWalt, 412focusrs, Rallycross and 2 others like this. Ouch. It can happen, at least my BRZ was like that from the factory also. My RS will get real fluid pretty quickly anyways. That would explain why my brake pedal feels like crap... By far my biggest complaint with driving the car is the craptastic pedal feel, so I really hope that I have air, lol. Zeroescence, mofoRS and Cam like this. Bluebyutoo, 1KillerRS and NZWINRZ like this. Be careful members when bleeding calipers. Brings back horrible memories of my STi. I would hate to see blue paint melted off from the fluid, just like my gold paint (STi) had done before. Absolutely night and day brake pedal feel after flush bleeding system with Motul at 1500 miles and comparing their new feel during a just finished 2660 mile trip [20.1 avg. fuel mileage] on the road and at several SE track and autox events in 95+ temps. Think Germans cheaped out on initial fill fluid? Different size bleeder screws in front and back. Before flush, at first EZ track day, after runs, pedal was still sinking slightly with light pressure in paddock after short cool down drives. Never hurts to use a good known high temp fluid and bleeding brakes should be a routine. Last edited by Rallycross; 08-18-2016 at 09:20 AM. DocWalt, Sleeper and MorningZ like this. Last edited by chumpracerj; 08-21-2016 at 05:27 PM. Doc when you bleed your brakes let me know what you find. I am wondering if this is going to be common. Probably won't be a bit. I'm lazy... and I'm comparing to the best brakes I've ever driven, lol. AP Racing brakes from Essex on my BRZ with good pads... Bests any of the proper race cars I've driven. I like the look of those cars.. But what I say when I see one is, sigh.. dog slow machine that's not boosted..